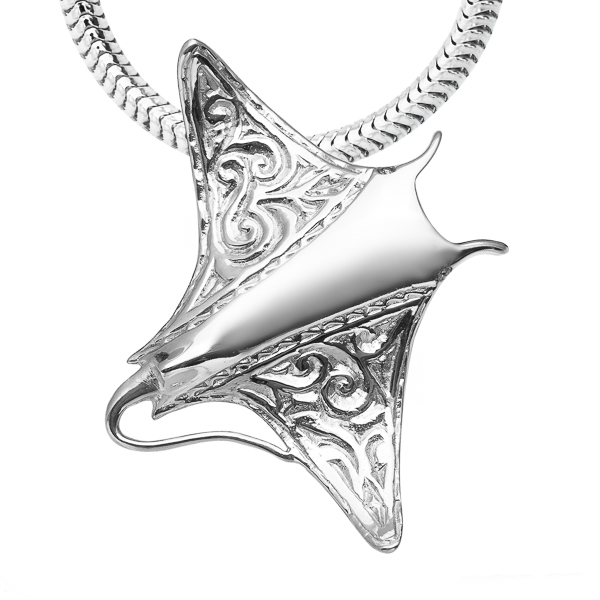 This exquisite collection of manta ray jewellery is inspired by the thriving population of reef manta rays (manta alfredi) that call the East coast of Australia home. Frequently seen in Byron Bay, NSW in the summer, the same manta rays can travel as far as Lady Elliot Island in Queensland, where they sometimes aggregate by the hundreds in winter months. Designer and jeweller Nick Thorp is an avid diver who, like most that have had the privilege of witnessing these gentle giants in the wild, has developed a slight obsession with these remarkable creatures. 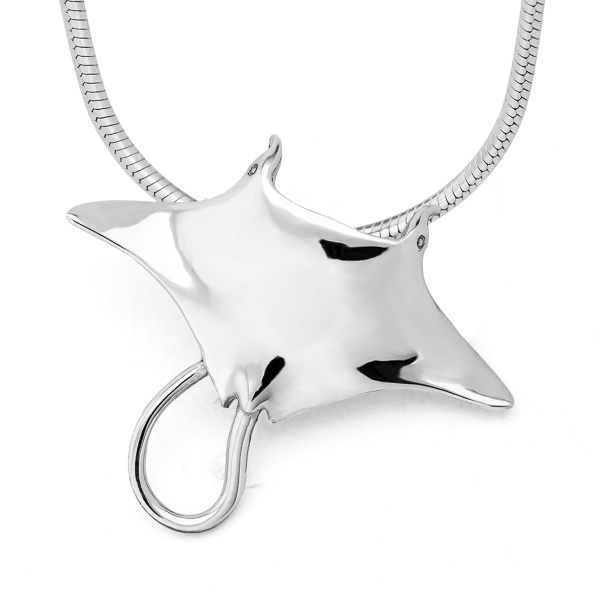 All designs available in sterling silver and 9 carat gold, makes a great gift for scuba divers and ocean lovers.